The kudos keep coming in on the 2019 INFINITI QX50, a five-seat crossover SUV that features a wealth of safety technology plus one of the industry’s most flexible powerplants. The 268-horsepower turbocharged inline four features an innovative industry first, a variable compression turbo. Mated to a standard continuously variable transmission, the four-cylinder powerplant combines eco-efficiency with sports-car performance in a highly flexible engine. The QX50 features standard 19.0-inch aluminum alloys with standard run-flat tires. The run-flats are only one piece of a highly sophisticated set of safety systems offered on the QX50. For example, the INFINITI QX50 provides the ProPilot Assist Suite, a set of safety systems that provide you with the best in automotive safety. For example, one feature of this suite is Intelligent Cruise Control that adjusts across a wide range of speeds so your QX50 remains at a preset speed and distance from the car ahead. The Steering Assist feature also keeps an eye on the lane markers so that your vehicle stays centered within the lane, even on winding mountain roads. Then, there is forward Emergency Braking with pedestrian detection that not only warns you of potential problems but also helps you avoid frontal collisions. Another feature is Lane Departure Warning which lets you know if your QX50 is drifting out of the lane. If it doesn’t sense any driver action to drift, the system will intervene. Finally, a head-up display shows the driver critical information where it is easy to see on the lower windshield. 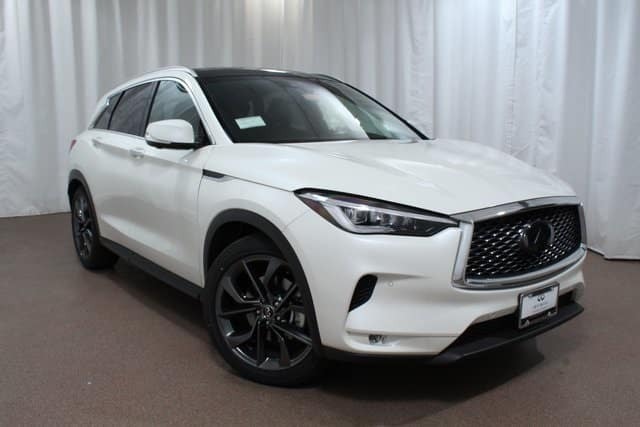 The 2019 INFINITI QX50 provides the driver and passengers with safety features that are among the industry’s most advanced. Visit Red Noland INFINITI in Colorado Springs and let us introduce you to the many safety features that will give you peace of mind on each of your drives.